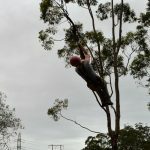 Wooooooooo!!! 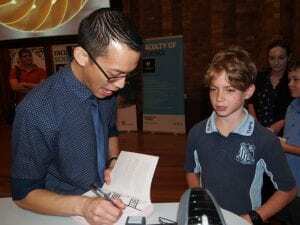 Today the OC attended a special event at the University of Newcastle – Woo, New & You! 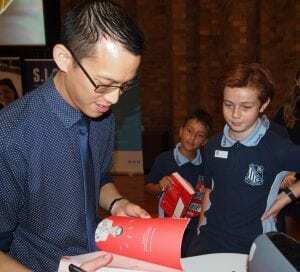 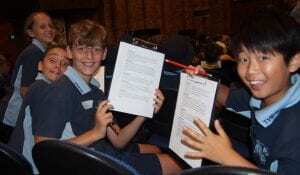 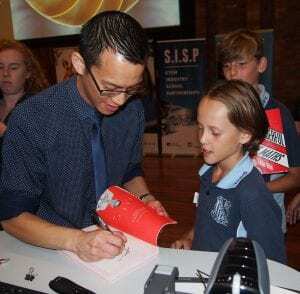 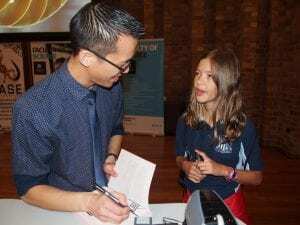 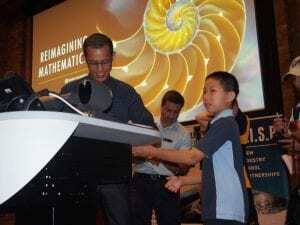 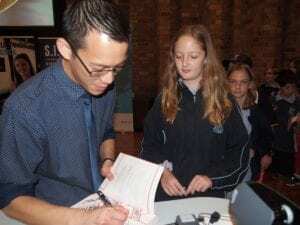 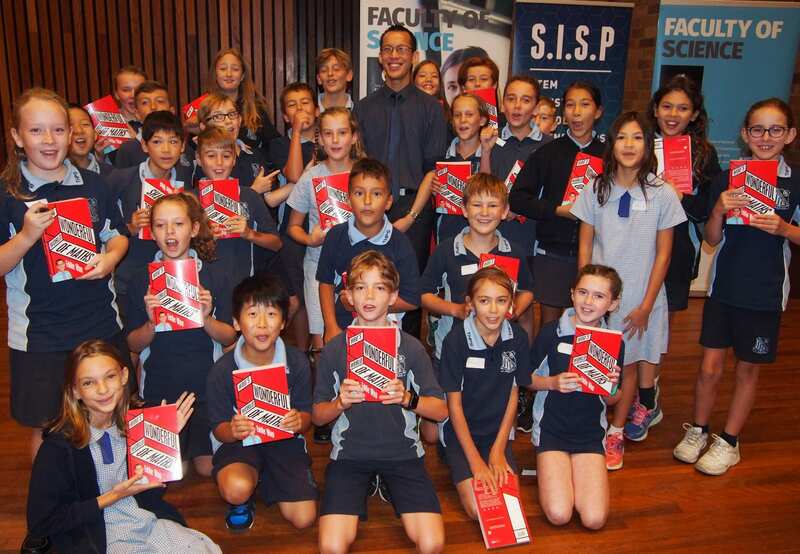 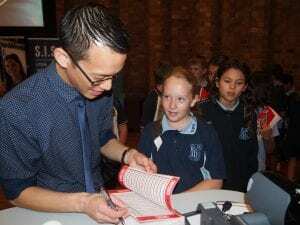 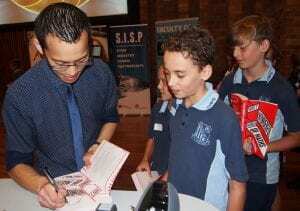 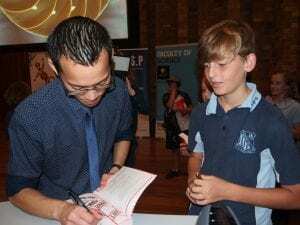 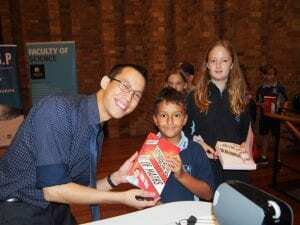 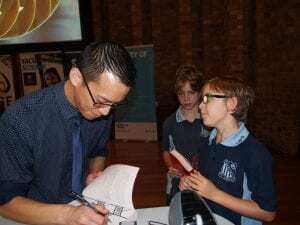 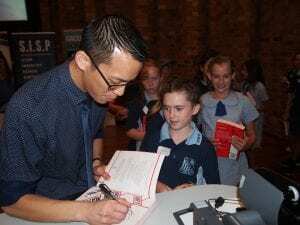 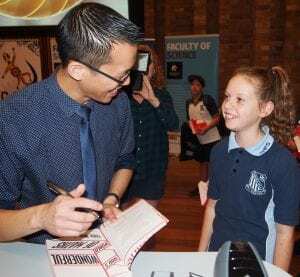 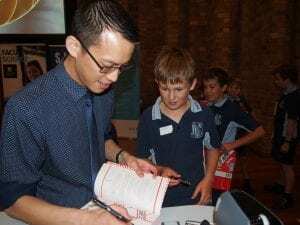 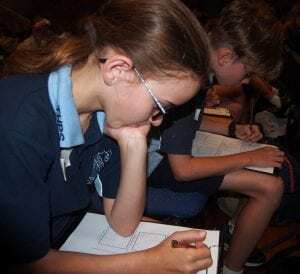 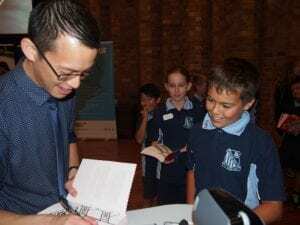 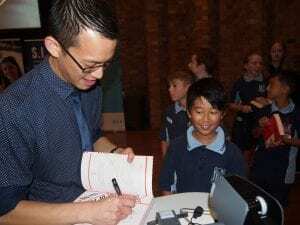 We listened to lots of experts in the field of maths, science and STEM, with the highlight being an inspirational talk from Australian of the Year and teaching superstar Eddie Woo. 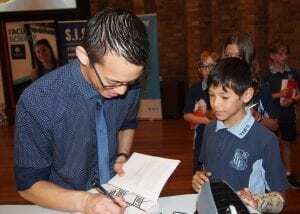 Eddie’s presentation was titled Reimagining Maths and focused on the ideas of mathematics being about playfulness, exploration and teamwork. 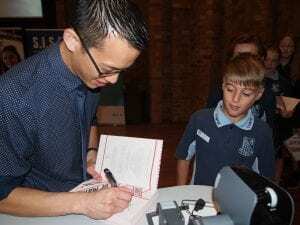 We got to meet Eddie, who was incredibly generous with his time, and all received a copy of his amazing book Woo’s Wonderful World of Maths! 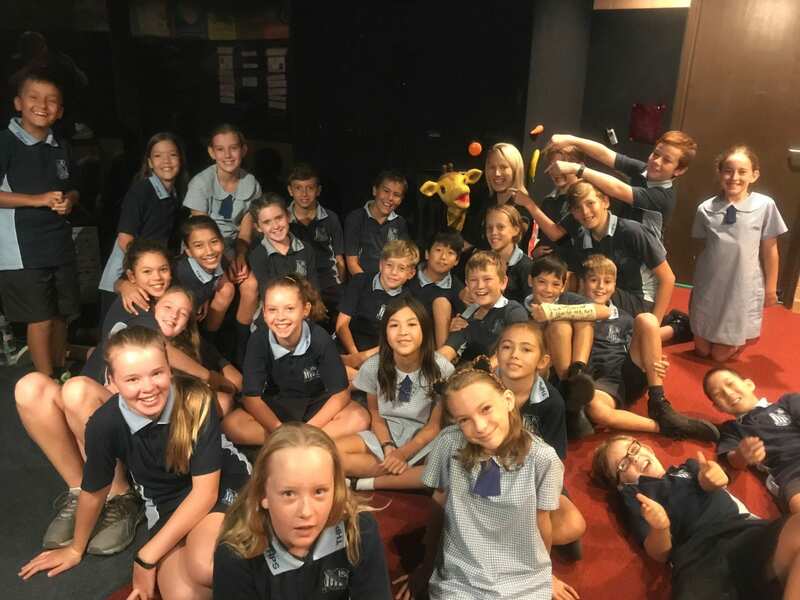 Today the OC enjoyed a visit to Life Education to learn about respect, relationships and online safety. 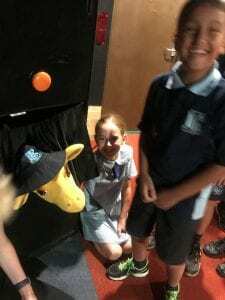 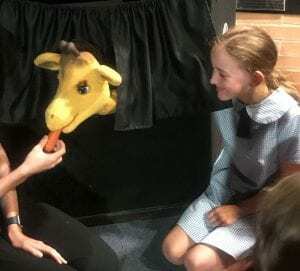 A definite highlight was meeting Harold, the cheeky giraffe, who managed to bite a few fingers and rock a Tighes Hill hat! 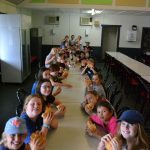 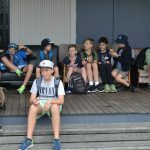 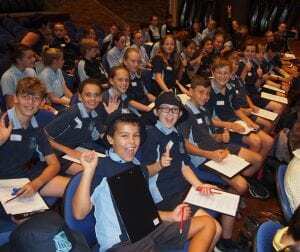 It’s hard to believe it was only this time last week that the OC headed off for their first excursion to the Outdoor Education Centre at Morisset. 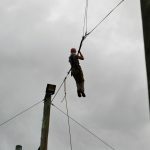 Despite the hot weather, spirits were high and it was great to see everyone have a really good go at all the challenges and give lots of encouragement to others. 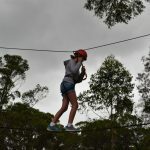 Enjoy our photos below! 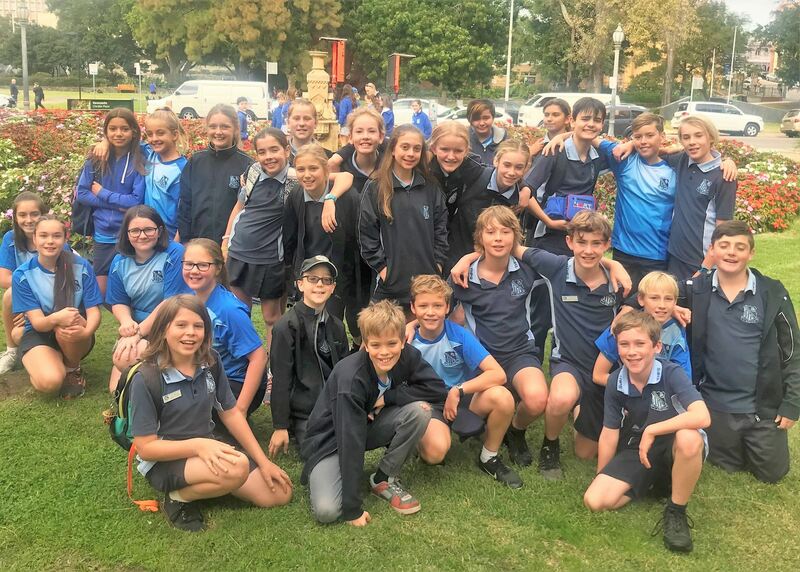 What a massive 3 days it has been for our Stage 3 students on our Canberra excursion! 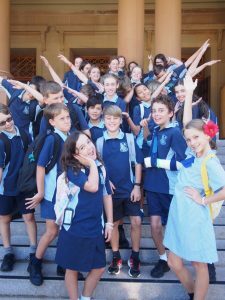 We’ve had a wonderful time and got to experience so many wonderful things that Canberra has to offer. 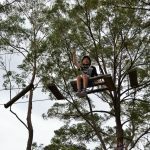 We hope you enjoy all of our photos from the last 3 days. 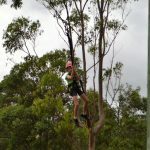 Lots of laughs and memories made. 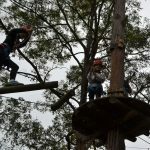 See you at home in a few hours! 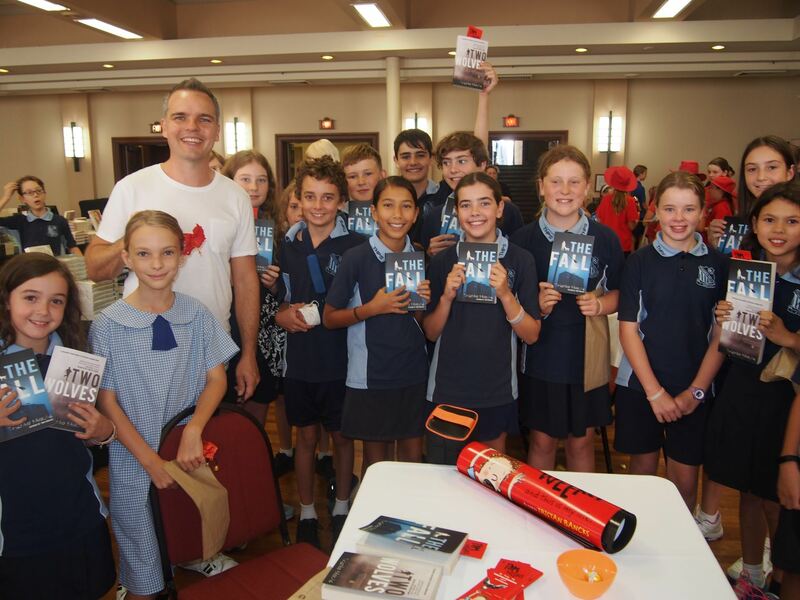 The OC had a fantastic time on Friday attending the Newcastle Writer’s Festival. We enjoyed a session with author, Tristan Bancks, who spoke about his inspiration and writing process. 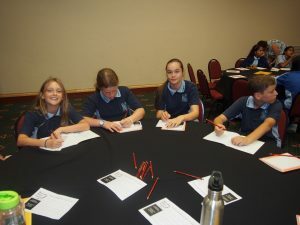 In the afternoon we took part in writing workshops. 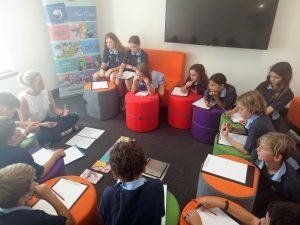 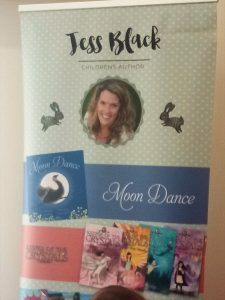 Year 5 worked with local writer, Jess Black and Year 6 worked with Paul Russell. 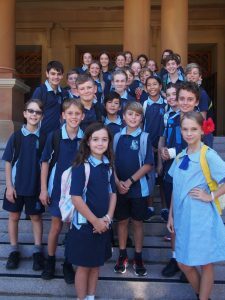 We also enjoyed visiting the amazing book shop! 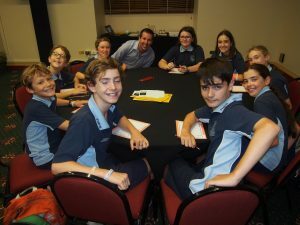 Thanks for a great day OC and thanks to Mrs Derricott for coming along with us. 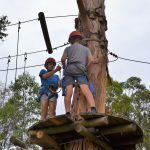 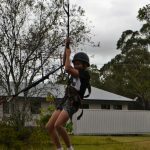 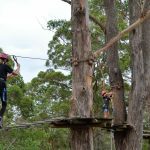 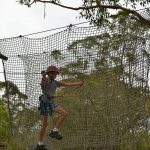 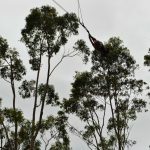 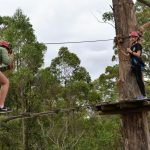 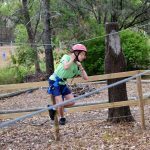 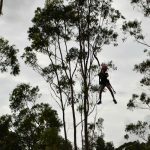 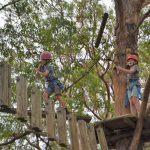 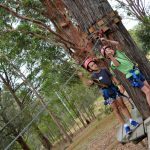 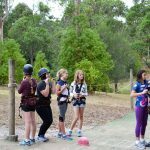 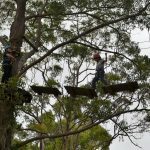 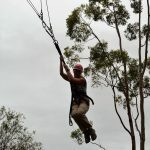 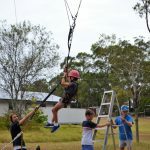 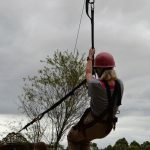 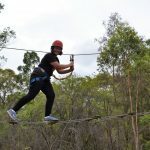 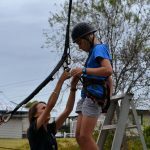 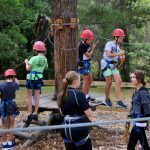 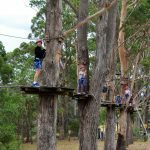 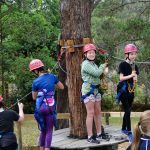 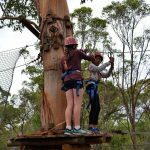 We had our very first excursion in Week 1 to the Outdoor Education Centre at Morisset where students displayed lots of skill and courage tackling the high ropes and giant swing. 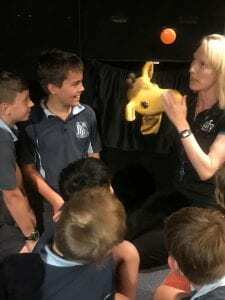 Thank you OC for your wonderful effort and to Mrs Derricott for attending in my place. 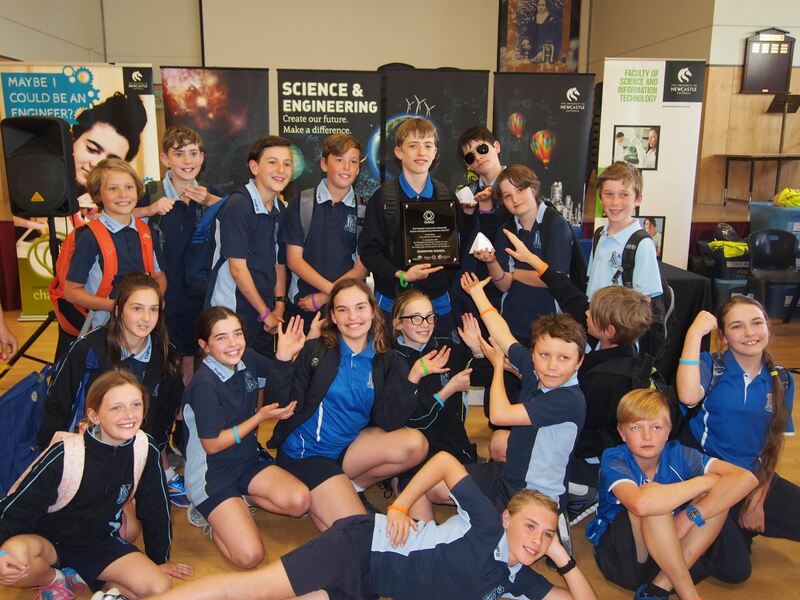 Congratulations to the OC who were the winners at today’s Science & Engineering Challenge! 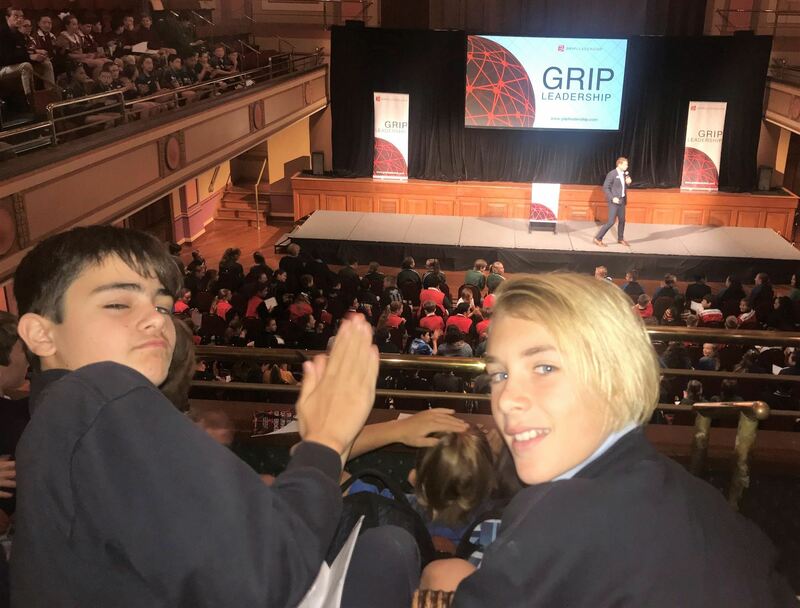 Students did a fantastic job working through a series of STEM challenges which included bridge building, creating a bionic hand, designing a chair, creating an earthquake-proof tower, wiring a city with electricity and creating secret coded messages to send via fibre optic rods. 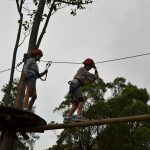 Well done to everyone for their team work, problem solving and creativity. 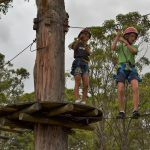 It’s been a huge week, so enjoy a relaxing weekend! 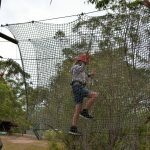 Check out the highlights from Day 3 of the Great Aussie Bush Camp!